EU policymakers are unlikely to agree to Europe-wide rules on toxic smoke from burning building materials despite years of lobbying from fire fighters and safety experts, according to a draft report ordered by the region’s executive seen by Reuters. The debate has been going on in Brussels for at least four years, but this month’s deadly fire at the Grenfell Tower apartment block in London has highlighted a lack of fire safety regulations across the 28-member bloc. Officials at the European Commission, the European Union’s executive, were already studying the draft version of a report on whether new smoke regulations for construction materials are needed before the June 14 blaze that killed at least 80 people. The draft, dated May, was based on around 50 interviews with regulators, industry groups and fire services, led by BRE, a British-based organisation that carries out research and testing in the building sector. It found that there “would be limited benefits from regulating for the toxicity of smoke from construction products” and that member states should continue to decide individually whether specific rules are necessary. It also concluded that “regulation would increase barriers to trade, increase product costs and potentially remove some products from the market”. A final version should be ready by 17 July, the draft said, although the Commission said it could not confirm that date. The Commission had asked for the report to help resolve an argument between fire safety campaigners and the plastics industry. “Member states are free to set their own requirements for building design and safety,” a Commission spokeswoman said, when asked about the report and the possibility of new regulation. Trade body Plastics Europe says there is no evidence new rules on the toxicity of smoke from building materials would save lives. But firefighters and other safety campaigners say labelling products according to their toxicity when burned is one simple way to address a lack of clear fire safety regulations for builders in the EU. EU officials, fire safety and industry representatives debated the draft report in Brussels on 16 May. Among those present was Richard Hull, a professor of fire science at the University of Central Lancashire in England. “If I go to my laboratory and I develop a new insulation material which is excellent in many respects but is lethally toxic when it burns, there’s no restriction on me selling that as a building product,” he said. PlasticsEurope, which represents companies such as ExxonMobil, Total and BASF, said new regulations would not be useful because there are multiple factors to consider when assessing the safety of a building. 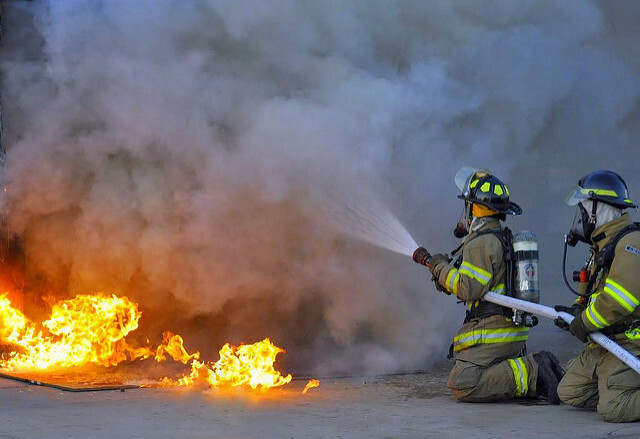 “A smoke toxicity criterion for construction products will not per se guarantee more safety in the eventuality of a fire,” PlasticsEurope said. 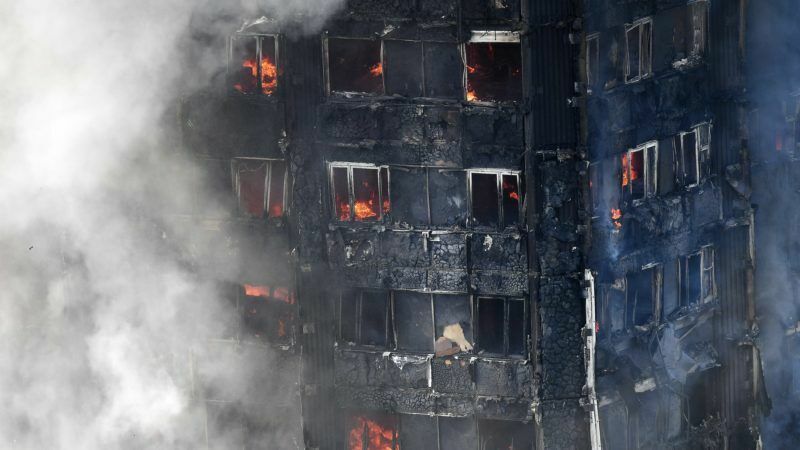 Presently, the EU only sets standards to ensure construction materials can be shipped across borders within the bloc, although EU sources said the Commission had decided long before the Grenfell fire to draw up new rules to harmonise fire-safety tests for building facades. Police investigating the cause of London’s most deadly fire since World War Two have said it started in a faulty fridge and spread rapidly because of external cladding on the 24-storey building. The cladding used has since failed safety checks and prompted a review of the materials used on British buildings ranging from hospitals to hotels to apartment blocks. Hull said the use of more synthetic materials in construction has made smoke more toxic, with insulation products such as polyisocyanurate (PIR) producing high yields of hydrogen cyanide and carbon monoxide when burned. Pressure group Fire Safe Europe says around 40% of deaths in fires are caused by smoke while smoke contributes to another 20%. The body brings together fire fighters, representatives of the concrete and cable industries, and equipment and insulation companies including Danish-listed Rockwool and Germany’s Knauf Insulation. Czech CSSD MEP Pavel Poc told Reuters his Progressive Alliance of Socialists and Democrats group would push the Commission for specific rules on smoke. “Testing and labelling could give the consumers the chance to choose between more or less toxic materials,” he said.